Woodhead Improve has completed work on a project of refurbishment at Beeston Community Centre on behalf of Nottinghamshire County Council with a rather unusual ceiling taking centre stage. The community centre, which is used by a wide variety of community groups including jive socials, tea dances, street dancing, indoor bowls, Judo and Taekwondo, has undergone a programme of renovation. The highlight of the works is the installation of a stretch-ceiling which features a multi coloured star effect, created by hundreds of LED lights. The central hall of the Community Centre is shaped like an old threepenny bit, the ceiling of which previously had an exposed steel structure. The project team investigated options to board and plaster the ceiling to improve insulation but decided that a stretch ceiling provided a more cost effective solution as it required less maintenance in the long term. 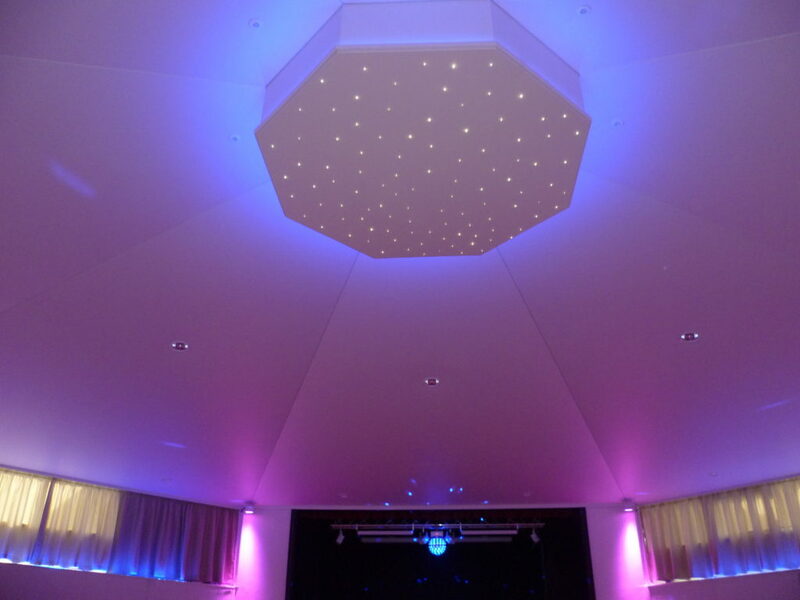 The stretch ceiling provided a unique opportunity to make a feature out of the large ceiling by incorporating the lighting features, which, now installed can be programmed in a variety of colour and mood patterns. Beeston Community Centre has been a registered charity since 1975 and provides facilities and support for a full programme of activities for people and community groups in the area. The trustees work extremely hard to maintain the facility but the building was in need of some improvements. Nottinghamshire County Council’s in-house Property Group designed much of works to develop the best solutions for the building. The project has been a real team effort from beginning to end with Joy Davison project manager at Nottinghamshire County Council working closely with Sara Jarvis, client manager from Woodhead Improve to ensure delivery of a project that worked for the Trustees and the local community. Supporting the financial contribution from the Charity, Nottinghamshire County Council has funded the majority of the project with additional funding being provided through the Leaf Scheme which has enabled the electrical works to be undertaken. Along with the new ceiling, the renovations have also included new lighting and new flooring in all communal areas and the installation of ventilation in the cellar to prevent damp and mould. 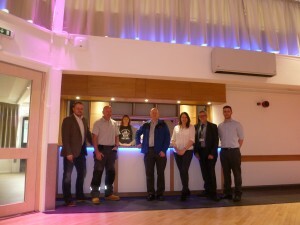 The bar area, which is used to cater for events has also been replaced with a new, improved back of house and front of house facility which will benefit groups and private bookings using the venue.